Joy only comes after the self-surrender and sacrifice. I think as a culture, we are afraid of sacrifice. We feel that we must own and accumulate things in order to be complete, and not just material objects but people and relationships as well. 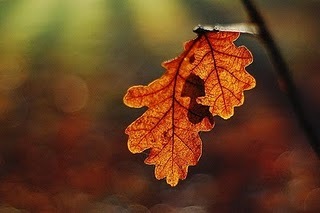 It is hard for us to understand that letting go is not a loss, not a bereavement. Of course, when we lose something that is beautiful or dear to us, there is a shadow that crosses the heart. But we enlighten that shadow with the understanding that the feeling of loss is just the result of assuming that we owned anything in the first place.